The LATA Foundation is run entirely by volunteers both in the UK and in Latin America. Most of them are acknowledged specialists in Latin America with a background in the travel industry. We have close links with the Latin America Travel Association and through them we have contacts on the ground in Latin America to be our eyes and ears locally, to help us identify new projects and to make sure that our projects are well run and kept on track. Our projects and events teams meet about every 6 weeks and are tasked with identifying and managing projects, organising events and fundraising. Richard Brass has worked in international banking in the City, in the leisure industry in the United States and in specialty retail which is his current project. 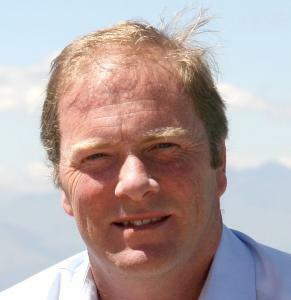 He has been involved with the travel industry to Latin America since 1994 as a director of Austral Tours. He was the treasurer of the Latin America Travel Association (LATA) for a number of years and was inducted into LATA’s Hall of Fame in recognition of his work. Richard founded the LATA Foundation in 2007, was Chairman until 2009, and currently acts as our Treasurer and Company Secretary. Edward Paine has been involved in the travel industry since 1991 as Founder and Managing Director of Last Frontiers Ltd. Prior to this he spent a decade farming in the Venezuelan Llanos and Orinoco Delta, and Brazil where he ran a 50,000 acre farm in São Paulo state. Edward was Chairman of LATA from 2000 to 2010 and continues to be heavily involved, particularly with regards to the Health and Safety. Edward is well known throughout the travel industry and is an accomplished public speaker. Chris Pickard was elected Chairman of the LATA Foundation in Novemeber 2017 and has been a trustee of the Foundation since its inception in 2007. Chris served on the Executive Committee of the Latin American Travel Association (LATA) for 14 years and was deputy chairman for 9 of those years, before becoming chairman of LATA in 2012. He served two terms as chair, before standing down in 2014. Chris has recently returned to the UK having spent the last 2 years as director of tourism for the island of St Helena, and now runs Critical Divide, a marketing and PR consultancy that specialises in tourism, the arts and Latin America. Lee Hills has been involved in the legal side of the travel and tourism industry for many years. He is recognised as a leader in the field of travel law by both Chambers UK and The Legal 500, having worked for a major regional law firm where he was Head of the Liability Insurance Department and Travel Sector Team. 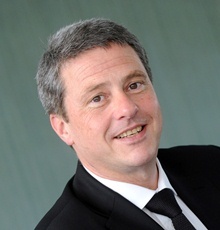 He now heads the Travel Sector Team at Mayo Wynee Baxter Solicitors. Lee was elected a trustee in 2015. We have recently welcomed five new trustees, Kelvin Shewry, Jude Berry, Kate McWilliams, Colin Stewart and Quinn Meyer. More information to come! Note: Up to four of our trustees are elected as LATA Officers. Other trustees are elected for two year terms by resolution of the LATA Committee. The board consists of a maximum of ten trustees.